Star and File can be identified by its large 8-pointed star on a hexagonal shape with file panels between each star. 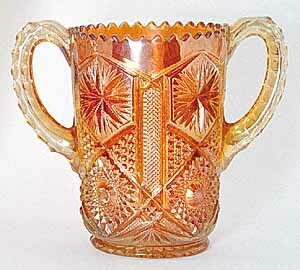 Apparently a popular pattern in its day as it was made in so many shapes. 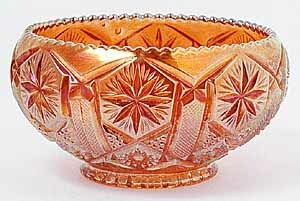 However, the only shapes to come to market regularly are the celery vase (sometimes called a chalice) and the rosebowl shown here.